A place specifically for your favorite snacks, meats and cheeses so you know exactly where to look. The best part is the drawer can slide to any position you would like, creating space for whatever you put in your fridge. Always have ice on hand and don't worry about bothering with ice cube trays. This refrigerator comes with a built-in ice maker. Lighting in the fridge is quite important for a quick and easy grab. Yet, most refrigerator lighting leaves more shadows than light, while draining energy with the door open while searching for your ingredients. This refrigerator has LED lighting which brings not only great, bright lighting, but it is super energy efficient as well! 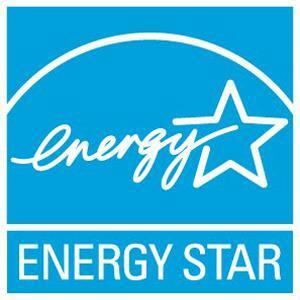 The GE Bottom-Freezer Refrigerators GE® Series ENERGY STAR® 20.9 Cu. Ft. Bottom Freezer Refrigerator by GE Appliances at Jordan's Home Furnishings in the New Minas, Halifax, and Canning, Nova Scotia area. Product availability may vary. Contact us for the most current availability on this product. Capacity: Refrigerator 14.9 Cu. Ft.
Capacity: Freezer 6 Cu. Ft.
Capacity: Total 20.9 Cu. Ft. Depth with Door at 90° 61.25"
Bottom Freezer Refrigerators offer a convenient twist on a traditional look. Now, your more frequently grabbed items (items in the refrigerator) are at eye level and easy to reach. These types of refrigerators go well in any kitchen style; available in black, white, stainless steel or slate there is a GE Bottom Freezer Refrigerator right for you. The GE Bottom-Freezer Refrigerators collection is a great option if you are looking for Appliances in the New Minas, Halifax, and Canning, Nova Scotia area. Browse other items in the GE Bottom-Freezer Refrigerators collection from Jordan's Home Furnishings in the New Minas, Halifax, and Canning, Nova Scotia area.